What is an Ice Cave? An ice cave is any type of a natural cave that contains significant amounts of perennial ice that stays all year around. Some parts of the cave most remain at a temperature below 0°c (32 F) for it to be considered an ice cave and water must have traveled into the cave’s cold zone. When most people speak of Ice cave they picture a blue glacier ice cave. 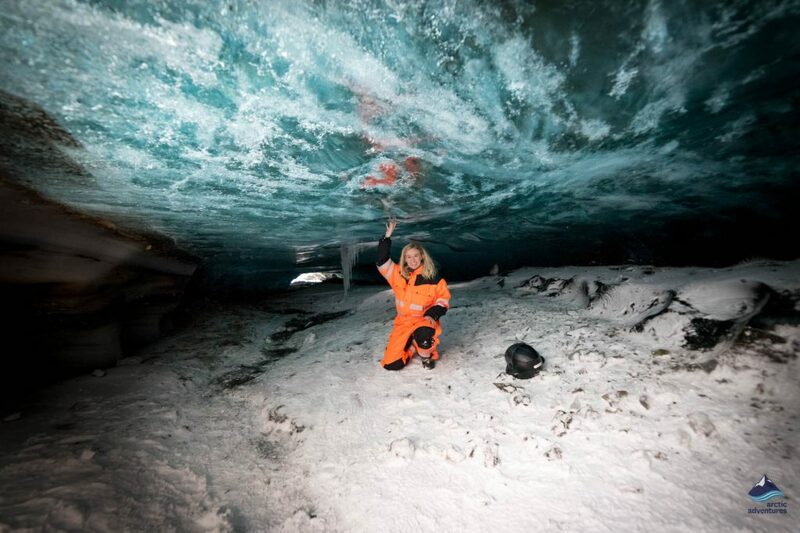 That’s the photos circulating online and that’s what people have in their minds when wanting to visit an Ice Cave. But an Ice cave and a Glacier ice cave is not the same, or at least not always even though the same name is used for them. An Ice ice cave only needs to be partly covered with ice to be considered an ice cave but a glacier ice cave is formed from a complete block of ice like found in glaciers. Here we will mainly talk about Glacier Ice Caves but continue to use the term Ice Cave. Ice caves basically form in the same way as limestone caves. The berg or in the case of an ice cave, the ice, dissolves and a cavity or a lumen forms. Ice caves are always formed in glaciers and are carved out when the ice turns into meltwater leaving cavities to form. In Iceland meltwater often appears when geothermal activity increases. This can happen due to constant geothermal heat or because of volcanic eruptions or moving magma. Since many of the Icelandic glaciers are stratovolcanoes, this is quite common but also makes the ice caves change or sometimes even disappear more quickly. The largest ice cave in the world is Eisriesenwelt in the Austrian Alps, reaching over 42 kilometers. Why do some Ice caves constantly change? In some countries, ice caves look almost the same year from a year since they are always in somewhat similar temperatures. In Iceland, this is not the case and each season as the weather cools, specialists begin to explore the areas around the glaciers. They first look to see how the caves from last year are looking. 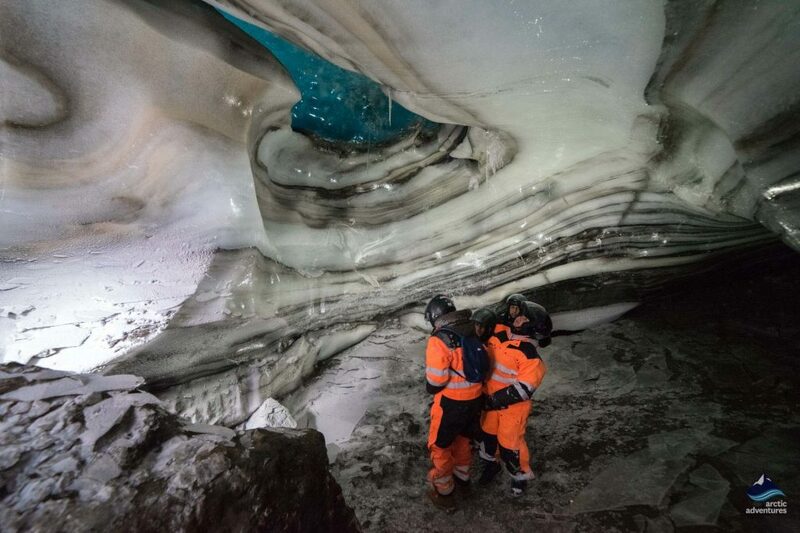 Then they go searching for new ice caves, large enough and safe enough to explore inside. During the summer the meltwater has often changed the form of the ice cave or completely ruined them. This was, for example, happened to the natural ice cave found on Langjökull the winter of 2016-2017. 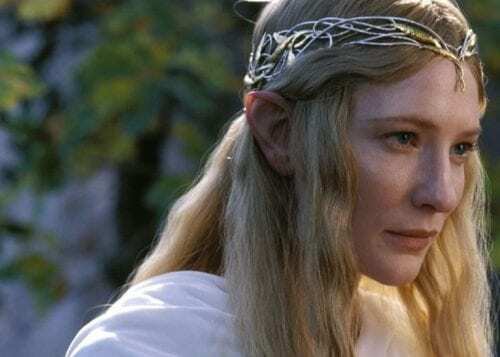 When they came to explore it again in the winter of 2017-2018 the cave had collapsed and was unsafe. Luckily a new ice cave was found near the mountains of Jarlhettur (where Tom Cruise shot a scene in the blockbuster Oblivion) on Langjökull and is being visited this season. This ice cave was even bluer and more beautiful than the one before and we are all keeping our fingers crossed it will stay for longer. 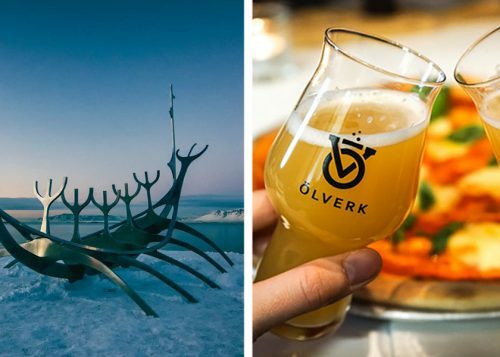 All of this just adds to the excitement of Icelandic winter! 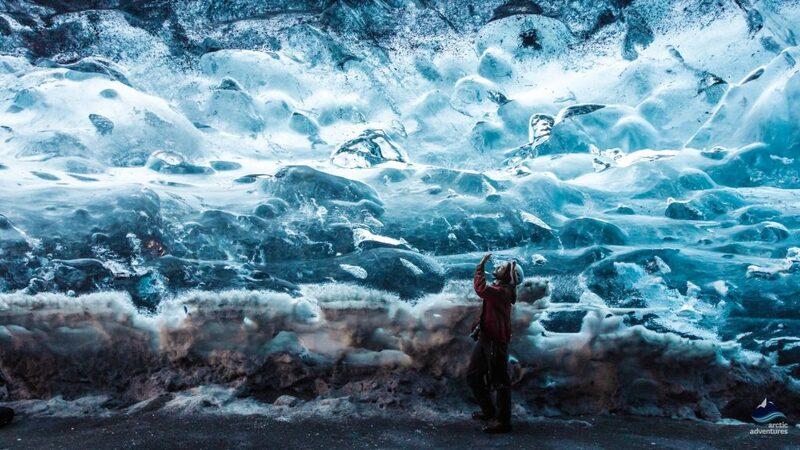 Why are some ice caves bluer? The “blueness” of the ice cave has to do with sunlight. If light can shine through the ice, more blue colors appear. This is actually more of an illusion than what is happening in real life. The Crystal Ice cave found in Breiðamerkurjökull, Skaftafell, Iceland is one of the ice caves known for it’s epic changing blue colors. The brightness is due to the fact that the ice cave is so far down at the footsteps of the glacier and the glacier roof of the ice cave is so thin that sunlight shines more easily through. This creates the magical blue colors that visitors get to enjoy! Ice caves that are found higher up on glaciers usually have thicker ice covering them and then light doesn’t get as easily through. These caves are also very blue due to the compressed snow that has squeezed out the bubbles and enlarges the ice crystal making the ice appear blue, but the bluest look comes from the sunlight shining through the ice. An Ice tunnel basically means that you have at least two openings, so you can enter at one spot and exit at another. An Ice cave means that you will need to enter and exit at the same spot. Ice Tunnels and Ice Caves are formed the same and can look very similar if not the same. Basically just a matter of one or multiple openings or exits. Where can you find Ice Caves in the world? Ice caves are found all over Iceland but are always changing. Like we have stated before the glacial ice in Iceland is greatly affected by the geothermal activity but that also just ads to the incredible uniqueness of Icelandic ice caves. One would probably not think that ice caves would form in a country known for volcanic eruptions and it’s geothermally activeness but in Iceland you have it all. Langjökull glacier is the second largest glacier in Iceland. Langjökull or “the long glacier” ranged about 950 km² and most of it rises between 1200 and 1300 m above sea level. Langjökull glacier rests on a mass of hyaloclastite mountains. Langjökull glacier has a few outlet glaciers, for example, Geitlandsjökull and Þórisjökull. The local company Snowmobile.is had been operating snowmobiling tours for some time on Langjökull glacier when one of the guides basically just stumbled upon an opening in the glacier. His curiosity brought him to the opening and what appeared as a small opening in the glacier turned out to be a pretty big natural ice cave. The cave was so large we could have fit about 100 people at the same time. The winter after the cave had collapsed but luckily, like stated above, a new ice cave was found which many think is even more beautiful than the first. 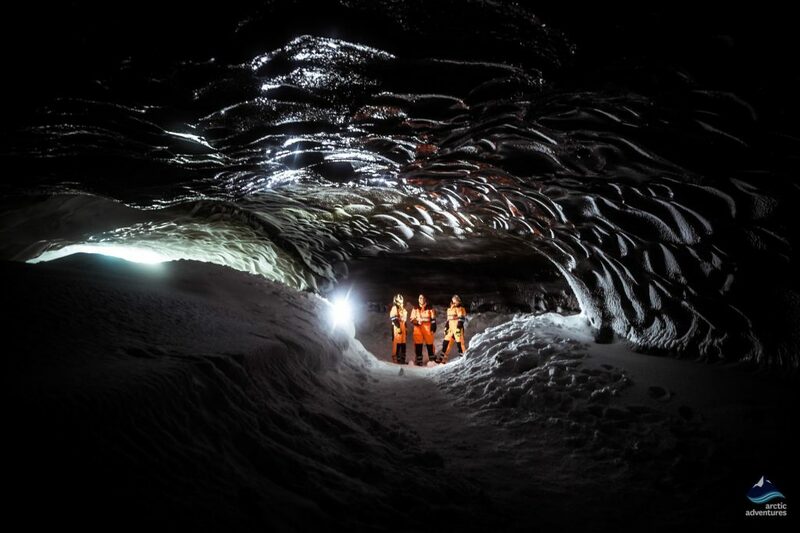 The snowmobiling and ice caving experience is a new and exciting way to explore and ice cave. No hiking needed. Just snowmobiling across Langjökull glacier, stopping at the opening, exploring the inside of the cave and the snowmobiling back. What an adventure! 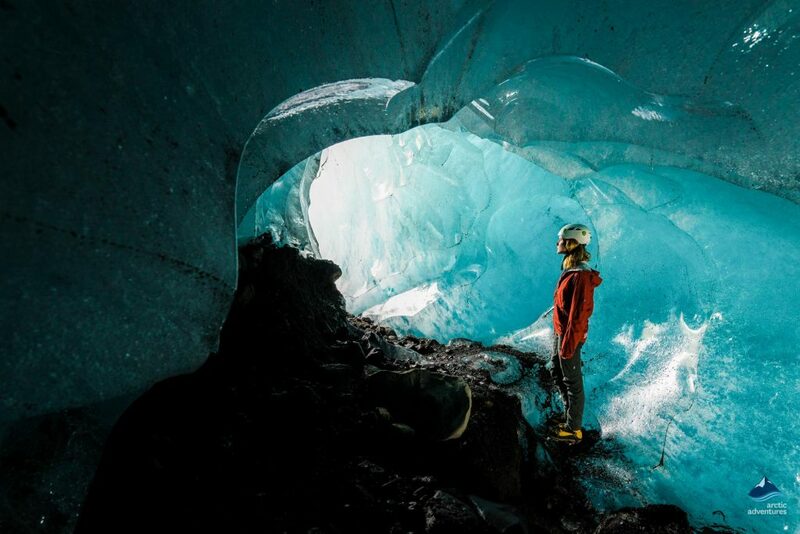 In 2010 two men called Baldvin Einarsson and Hallgrímur Örn Arngrímsson took a bold decision to make their dream of bringing people not only around but also inside the glacier. They brought in Ari Trausti Guðmundsson a renowned geophysicist and he started studying, planning, modeling and carefully preparing for constructions. When the ice cave at Langjökull was opened it became the biggest man-made Ice Cap Glacier Ice Cave in the world. The tour to the ice cave can be done in many different ways, meeting at Húsafell or with exploring Snæfellesnes and Northern lights. I recommend the later one! Vatnajökull glacier is not only the largest glacier in Iceland it is the largest glacier in all of Europe. Vatnajökull covers about 8,100 km2 or 3,100 sq miles. The average thickness of the glacier is about 400 m or 1,300 ft.
Vatnajökull has numerous outlet glaciers like Breiðamerkurjökull, Falljökull, Fjallsjökull, Heinabergsjökull, Hoffellsjökull, Morsárjökull, Virkisjökull, Svínafellsjökull and many others. It is the origin of Jökulsárlón Glacier lagoon, Fjallsárlón glacier lagoon, and Heinabergslón glacier lagoon. Vatnajökull is home to the highest peak in Iceland, Hvannadalshnúkur. The two ice caves found on Vatnajökull are the most famous ones in Iceland so this comparison will be more detailed. The Crystal Ice cave photo by Norris Niman. The Crystal Ice cave tour is the one you have probably seen photos off. It has been visited since 2011-2012 and high hopes are that we can continue to do so. 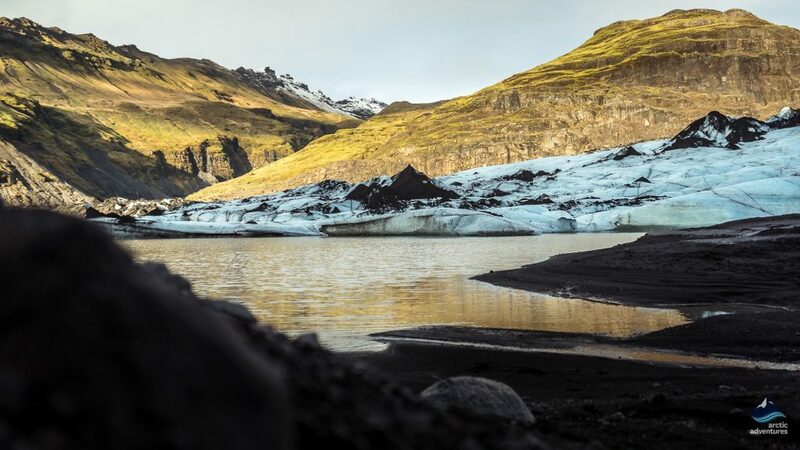 It’s is carved out by a large glacial river every summer and is located in the beautiful Breiðamerkurjökull that also provides water and ice to the famous Jökulsárlón glacier lagoon. The inside of the cave is somewhat like a crystal dome and this is where the name comes from. The crystal cave was a little challenging winter of 2016-2017 due to warmer weather/climate change which caused the cave to get flooded and inaccessible for a long period of time. When this is written (2017-2018 winter) the temperature has been lower and their are high hopes for a good ice cave winter. Here you might be a bit confused. 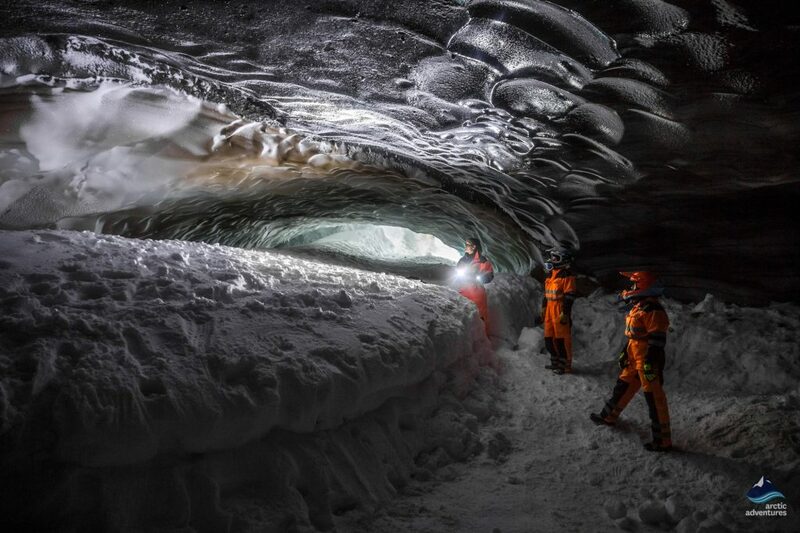 The new man-made cave on Langjökull is also called Into the glacier, isn’t it? Yes, that is true. But it is not the same. 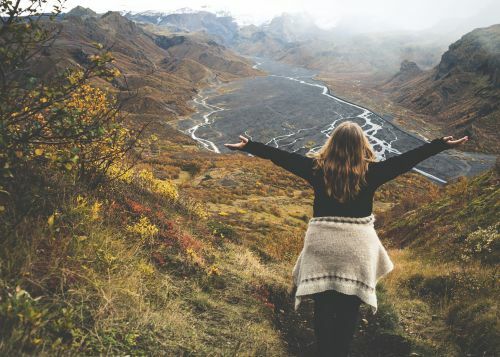 This tour had been running locally for a long time with this name before the one at Langjökull started but the name just seems to have stayed local so the oddly ended up with the same name. A bit confusing but bare with me! 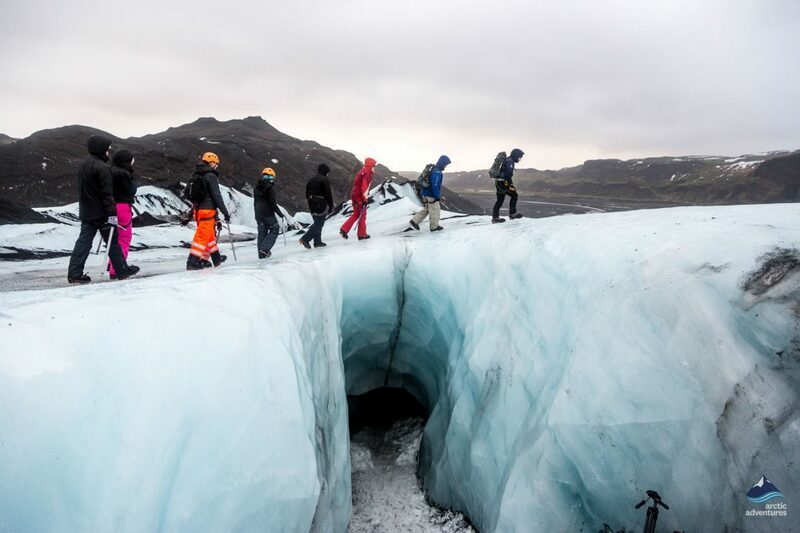 THIS Into the Glacier tour takes place on Falljökull glacier and requires about 30-45 minutes of glacier hiking to reach the cave. Falljökull is a glacial sculpture garden so the hike up their is amazingly beautiful. 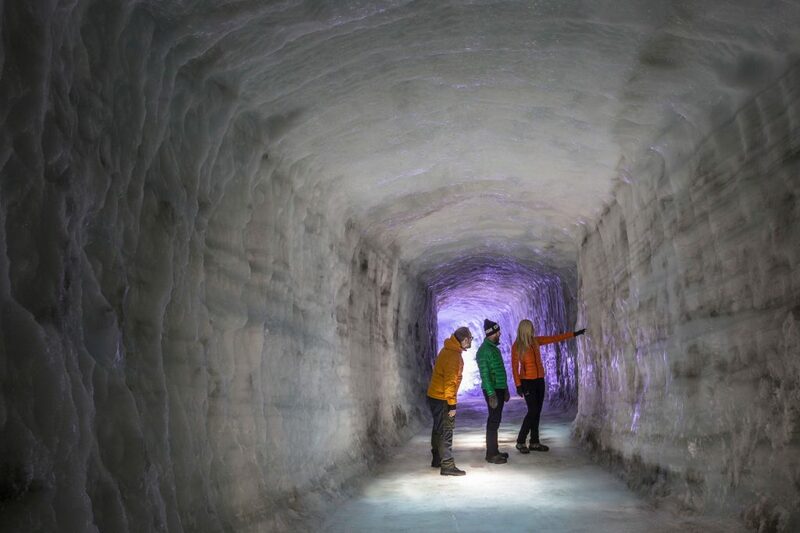 The great thing about this tour is that because the cave is so high up on the glacier it’s operated sooner in the season than the Crystal Ice cave. 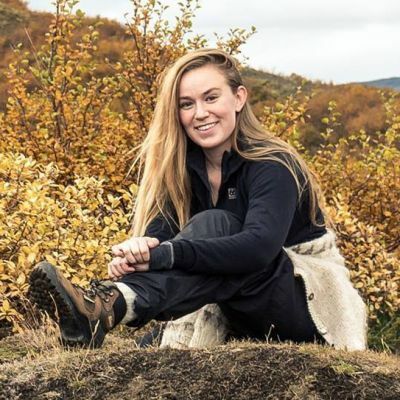 The higher you go on the glacier, the colder so the cave is more stable and less affected by the warmth of the summer or other natural causes.